Just as Donald Trump did on the campaign trail during 2016, Scott Walker, the governor of Wisconsin, made seemingly impossible pledges about job creation, promising 250,000 in the state during his first term. And, like many such promises, Walker’s fell far short, with only 30,000 added in the first 18 months of his administration. In her debut book, “Janesville,” which chronicles the Rust Belt trials of that town’s residents from 2008 through 2013, Amy Goldstein chronicles Walker’s tumultuous tenure as governor, as well as the state- and national-level machinations of Janesville’s native son, Paul Ryan. But “Janesville” is not really about Walker, Ryan, or any other well-known political figure. Like many recent examinations of economic inequality and politics — for example, George Packer’s “The Unwinding,” Matthew Desmond’s “Evicted,” or Arlie Russell Hochschild’s “Strangers in Their Own Land” — Goldstein’s narrative shines because of its focus on the struggles of normal, middle- and working-class Americans. Look past the headlines and the click-bait, as the author did, and you find those who pay perhaps the heaviest price for flawed political and economic policy and bottom-line-addicted corporations. But not this time: Upwards of 9,000 people lost jobs in 2008 and 2009 — and not just at GM, but at Lear Corp., which manufactured seats for GM cars, and a host of other businesses that flourished in the ecosystem created by the massive car factory. 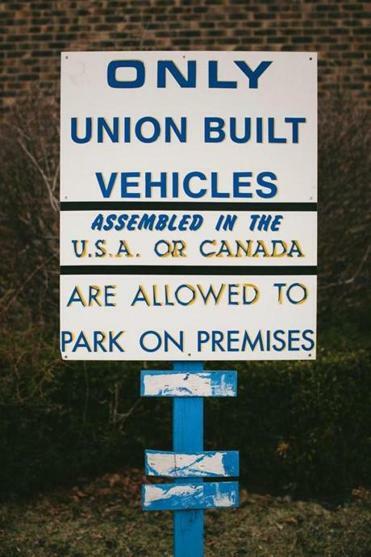 With GM shuttering many plants and moving operations elsewhere, workers faced the too-familiar specter of unemployment, one of the most pressing issues for countless Americans over the past decade. In alternating chapters, Goldstein weaves together the moving, too-familiar stories of families facing an uncertain future (the “Cast of Characters” at the beginning is helpful). Some laid-off workers found other jobs, but often for lower pay or in another town or state, while others went back to school at the local community college, Blackhawk Tech. Besides reorganizing their lives around new jobs, many put in extra hours developing economic and social initiatives to help their community recover, including Forward Janesville and the Parker Closet, a program at the local high school that provides clothes, toiletries, and other necessities to families in need. One of the great heroes of the book, Bob Borremans, works tirelessly at the Rock County Job Center helping residents find work in a place where opportunities are quickly drying up. These are the poignant stories that put faces to the headlines, and the author is to be commended for her dogged research over a five-year period. She is sympathetic, respectful, and evenhanded, even when discussing such hot-button topics as unions. And don’t overlook the appendixes, one of which digs into the details of the author’s 2013 survey of Rock County, which asked revealing question like: “Do you think that the country’s economic recession is over, or do you think the economy is still in a recession?” Seventy-six percent answered “still in a recession,” despite that economists declared it over in 2009. Admittedly, the book is not as well-written as “Evicted” — Goldstein is guilty of occasionally awkward or clichéd prose (“grabs a buyout from General Motors like a brass ring”) — or as deeply insightful as “The Unwinding,” and the epilogue, a neat, where-are-they-now summary, is a touch formulaic. But the flaws should be forgiven. Given our current national climate, in which “jobs are becoming political” and “[u]nemployment . . . is stoking anger,” Goldstein provides a welcome addition to the conversation on the broken social contract. Janesville is a town like countless others, and this book offers a useful cautionary tale for public officials, sociologists, economists, and engaged citizens alike.